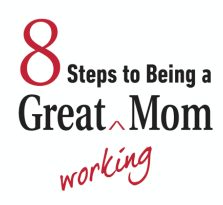 ​8 Step for being a Great Working Mom was written and publish by Gretchen Gagel. Years ago a friend was having her first child and said to me "You always have it all together, even with traveling every week - how do you do it?" What an amazing facade of calm I was putting forth! It was then that I realize that we are all working so hard to be great parents, great employees, great spouses, etc. but we rarely share the challenges we face, both men and women. If this book accomplishes one thing, I hope that it will help working parents feel less stress and less guilt. Please lighten up on yourself. We all make mistakes. We all have days that we feel like we're not doing any of our roles very well. But we are "great" because we work hard every day to care for our families and our companies. We are not "perfect", we are "great". We care. If we are all a little gentler on ourselves, a little less stressed, we'll have better relationships with our kids, our spouses, our families, our friends, and our fellow employees. I am on a mission to not only get this book into the hands of every working parent, but to continue the healthy dialogue about how we all make it all happen on a daily basis! I grew up in Kansas City, the youngest of three siblings (by 11 years!) with a pretty "normal" upbringing. My mom, Jane, was a stay-at-home mom and my biggest fan. Losing her two years ago definitely motivated me to finish the book. I am a first generation college graduate. My father struggled with my decision to study engineering as he thought it would be a difficult path for me as a woman. I was so fortunate to be hired by Ralston Purina right out of school as an Operations Manager - the only woman out of 62 in the country. Oh the stories I could tell! My sorority sisters at SMU thought I was NUTS taking a job in a dog food plant in Oklahoma! And yes, they smell just as bad inside as they do outside. But it was a great opportunity and I loved the three states I worked in. I met my husband Dan in a dog food/pet treat/cereal plant in Davenport Iowa - so romantic! I actually tricked him in to asking me out. I made a wager with him (on what I don't remember) and when I won I said he could taking me out to dinner instead of paying me. The night of our first date I received a message upon getting home (no cell phones in 1989) that the oat dryer in the cereal plant I managed had caught on fire - what a mess! Our next stop was a babyfood plant in upstate NY - managing a $28 million operating budget at the age of 27. I learned a lot with that organization, but when my ex-husband Dan and I decided to marry, moving every two years to a new plant didn't see like as much fun (and we were tired of being buried by snow in upstate NY!) so we quit our jobs and moved to Denver in late 1991. After getting my MBA from DU I worked for Coca-Cola Bottling for a year before making my first big career move into consulting with FMI Corporation in 1994. 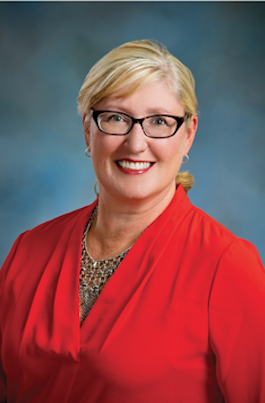 I believe I was only the second female consultant they had hired in 40 years because of the male dominated culture of the construction industry. My eleven year career their was wonderful. I had the opportunity to start a new business unit for them and secured many high-profile clients - GM, Intel, Starbucks and Marriott to name a few. The construction industry is so wonderful. We take for granted that everything must be built before we can use it - schools, hospitals, roads, coffee shops, malls, airport - everything, even our homes. There are many amazing people in the industry. Holden was born in March of 1996 - I flew up until 2 1/2 weeks before he was born because he was 2 1/2 weeks early! Dan almost missed the birth because he was up skiing - he made it back to town just as water broke. My mom moved to Denver during my pregnancy to be near me - how lucky I was to have she and my sister, Pam, Dan's sister, Molly and her family, Dan's brother Mike, and his family, the kids godmother Annie, so many wonderful people to help us raise our kids. I flew 100,000 miles in 1996, and Regan joined us in April of 1997. Assistant Dean of Daniels College of Business at the University of Denver. ​I'm currently president of Continuum Advisory Group, a national management consulting firm and studying for my PhD. I'm also the founder and president of Greatness Consulting where I devotes a portion of my time consulting to nonprofit agencies on strategy, fundraising and financial sustainability.